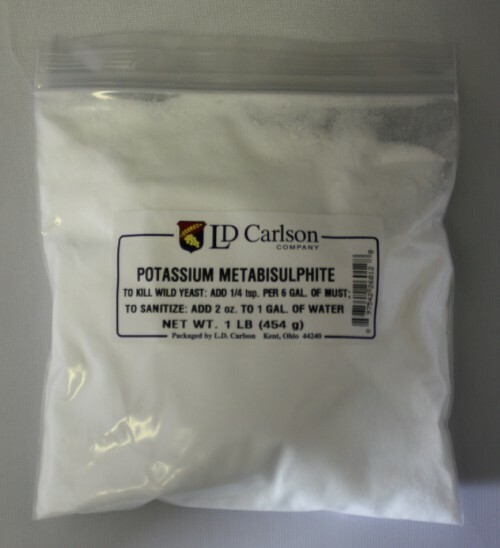 Potassium Metabisulfite for Beer and Wine -- Texas Brewing Inc.
Potassium Metabisulfite is a widely used winemaking agent. Potassium Metabisulfite effectively kills wild yeast and bacteria. The condition of your grapes and pH levels may vary the amount needed. This agent helps to clear the way for your yeast, better allowing it to do its job. Sulfites also aid in inhibiting enzymatic browning in white wines, and improves the flavor when used correctly. Metabisulfite does lose potency over time, so you should replace your supply at least annually. If you have some old metabisulfite, it can be used for sanitizing purposes.